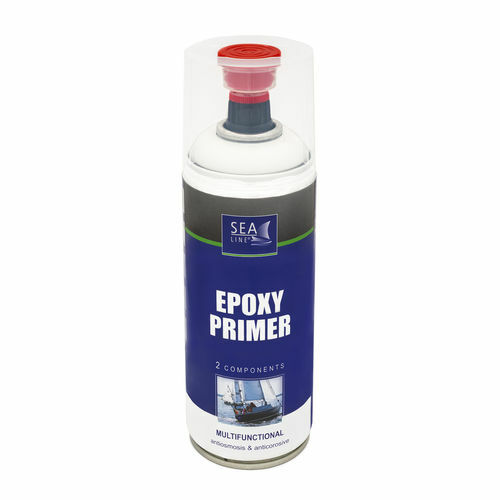 Pleasure boat primer / multi-use / epoxy / spray - MULTIFUNCTIONAL 2K SPRAY EPOXY PRIMER - Sea-Line Troton sp. zo.o. Ship and boat building > Materials and paints > Pleasure boat primer > Sea-Line Troton sp. zo.o. Stand: Sea-Line Troton sp. zo.o. MULTIFUNCTIONAL 2K SPRAY EPOXY PRIMER Sea-Line Troton sp. zo.o. * Provides antiosmotic protection in 250 μm.